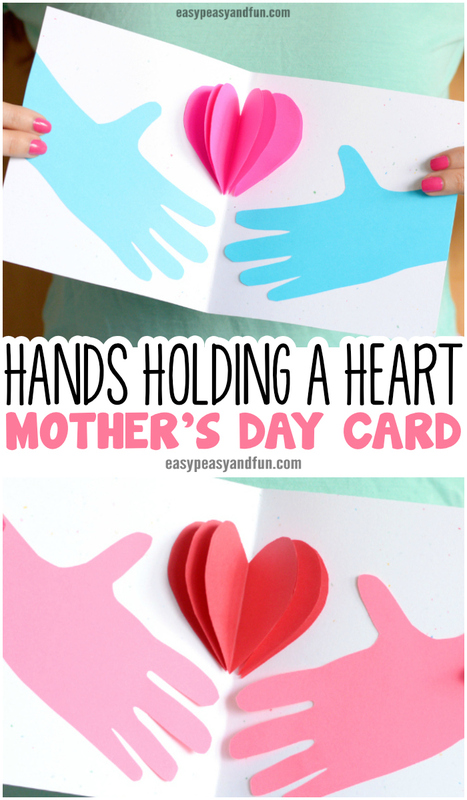 This Hands Holding a Heart Mothers day Card is one of the simplest and cutest ideas for kids to make! 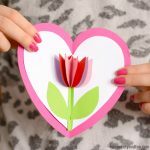 There are quite a few ways you can modify this project, simple it diwn for preschoolers and toddlers or make a 3D pop up heart with kindergarteners and older kids. 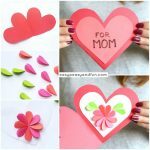 Mothers day is a very special day, and there are quite a few adorable Mothers day crafts or cards your kids can make (either in school or at home) that will be cherished for years to come. 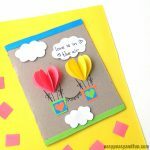 This lovely card idea is one of those, not only does it look pretty, it also has that “keepsake” feel to it as it captures the small hands of your little ones. Pick your paper colors. Any color your kids choose is a correct choice. 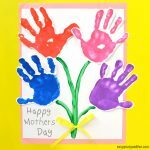 Start by either tracing your hands and a bit of arm on colored paper or by dipping your hands in paint and making handprints on paper. With handprints you will also need to paint a bit of the arm. Cut along the traced hand / handprint and arm. Prepare your card. You can get large blank cards in the store, but we prefer making our own (more frugal and equally pretty) out of cardstock. 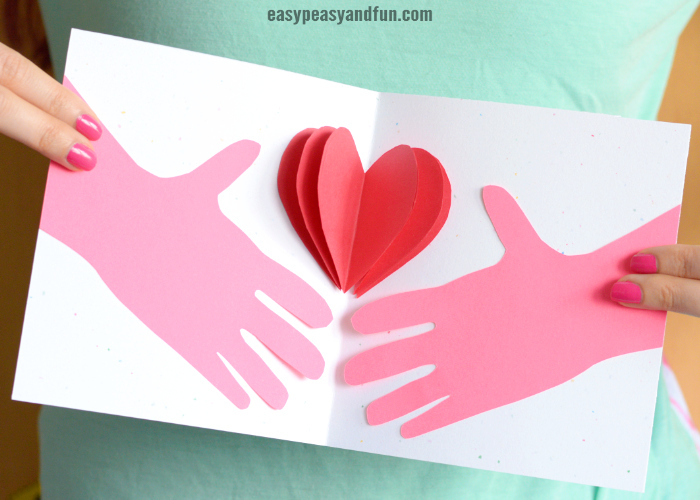 The size depends on the size of the hands, each page if the card has to have enough room to fit one hand. Glue the hands, position them in a V shape. Trim “excess” paper from hands if necessary. Onto the heart! 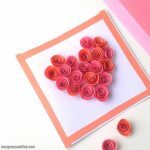 We have a heart template you can use, with hearts in different sizes – but making a heart is pretty easy even without. Just fold the paper and write a number 2 – then cut along the curve. 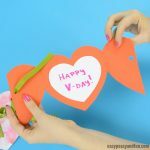 Make a few hearts, try to make them the same size (use the first heart as a template). With hearts folded in half, glue on onto the other. You can do 2 or 10 (or more). 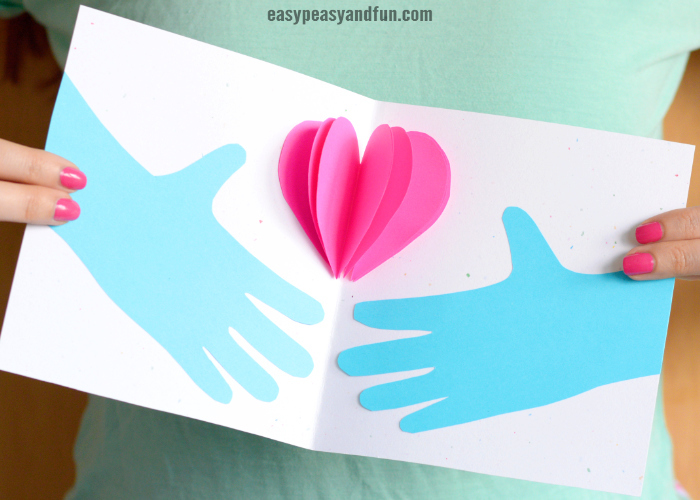 When you are happy with your hearts – glue them on the card, above the hands (centered). Close the card and decorate the front. Foam stickers work great but let the imagination be your guide.